Are you looking to get serious about your fitness goals? Are you looking to get results and keeping them? When it comes to getting (and staying) healthy, it’s actually not just about how much you workout and the kinds of workouts you do. It’s also about what you’re putting into you body. In addition to that, it’s about forming healthy habits. We talked to Emilia Bechrakis Serhant from Million Dollar Listing New York, about how she stays on her health grind. We all know breakfast is the most important meal of the day. It’s probably been ingrained into our brains since childhood. 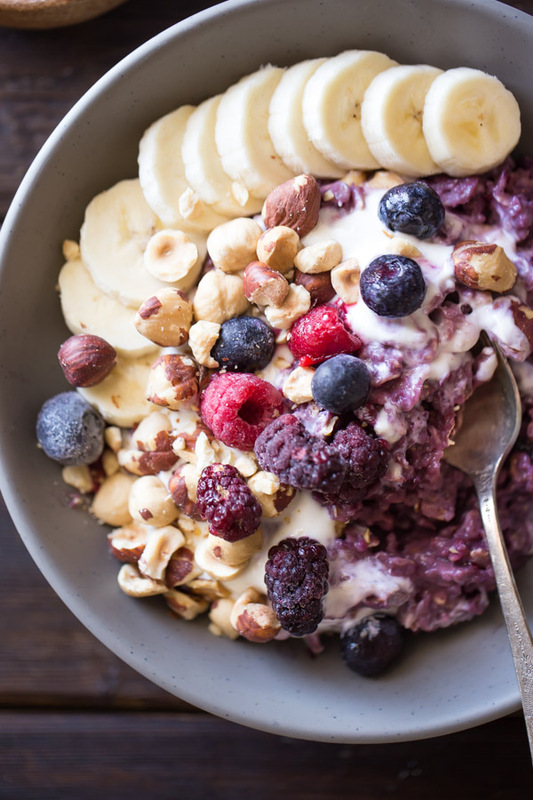 A healthy breakfast is super key when it comes to our health and weight management. Starting your morning with breakfast not only boosts your metabolism but also helps keep your blood sugar levels stable throughout the day. Opting for a healthy and nutritious breakfast will reduce the risk for starving, cravings and overeating later in the day. And opting to have breakfast helps you feel fuller for longer and allows you to consume fewer calories throughout the day. So what should you have for breakfast? Emilia chooses to make her own overnight oats that consists of oatmeal, fresh fruit, chia seeds and flaxseeds. Serhant also starts her day with a vegan smoothie with fresh fruit. Snacking is a great and effective way to fit extra nutrients into your diet and prevent overeating at mealtimes. A healthy and early dinner can help promote better metabolic functions, which in turn promotes greater success in any potential weight loss efforts. Emilia tries to have dinner before 7 pm and her meal usually consists of fish and veggies. She also nightcaps with a dandelion and burdock tea. Allow yourself to indulge in your favorite snacks without going overboard. Doing so will prevent you from binge eating. So instead of ordering a large order of fries to yourself, split a smaller portion with a friend. Serhant loves fro-yo and french fries but admits that neither actually agree with her. We all know that getting exercise is good for you, but do you know how good? Emilia prefers to workout in the morning as it gives her so much energy. She also hits the gym with celebrity trainer, Kira Stokes, about 4-5x a week. During her lazy months, you can expect her in the gym about 3x a week. While she’s vacationing, she tries her best to find a gym or a class. She also always keeps resistance bands in her bag and truly recommends them if you’re in need of a quick workout and can’t find a gym. This is especially key if you’re new to the entire gym experience. If you’re worried about the potential price tag, many gyms offer a free session at sign-up to help you get familiar with the machines, and more in-depth sessions can help perfect your form. She also says that she’s noticed a major difference in her back pain, posture and core strength since starting her partnership with Kira. It’s one thing to initially get motivated and accomplish their health and fitness goals. But many find it hard to stay motivated once completing the goal. The maintenance phase is the hardest phase. So how long does it take to form a habit? About 21 days. So if you’re really looking to see real results and actually keeping them, pushing yourself for the first 21 days is crucial. Note: You can expect to see a Kira Stokes/Emilia Bechrakis Serhant collaboration soon! Emilia wants to offer up the Kira Stokes experience and expertise to those who are not in the New York area.